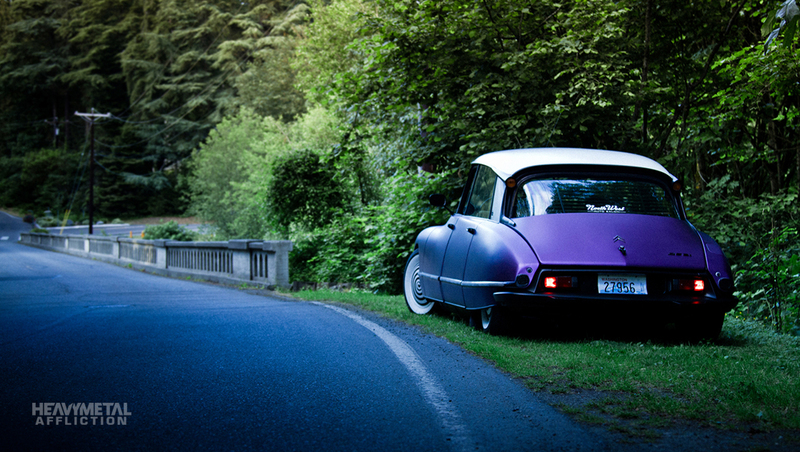 The Citroën DS is one of the most heralded cars of all time. 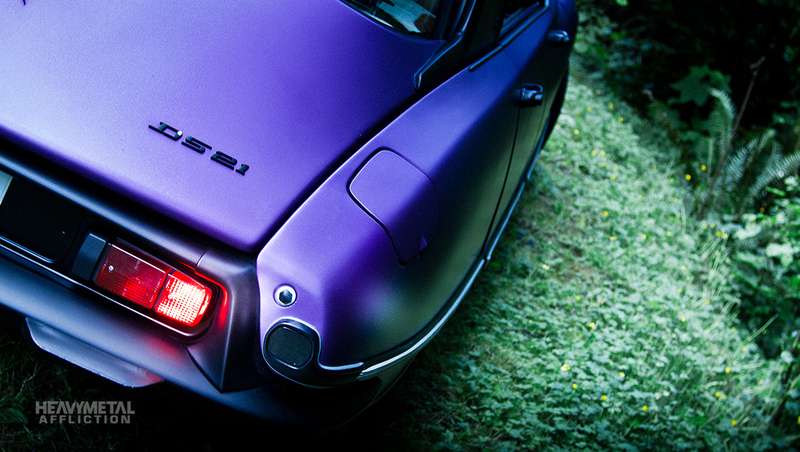 It’s been named “The Most Beautiful Car of All Time” by Classic & Sports Car Magazine. It placed third behind the Ford Model T and the Mini in the “Car of the Century,” a competition for the most influential car of the 20th century, and more recently, placed fifth in Automobile Magazine’s “100 Coolest Cars.” The DS’s artistic form and space age design have forever earned it a place in the hearts of automotive enthusiasts. The DS – originally the ID – was a hotbed of innovation that represents a monumental accomplishment for French carmaker Citroën. It was originally designed by Italian sculptor and industrial engineer Flaminio Bertoni and French aeronautical engineer André Lefèbvre. The list of innovations within the DS is lengthy, but it is possibly most notable for being the first production car to ever come with front-disc brakes. Closely behind that feature would have to be the self-leveling, oleopneumatic suspension. 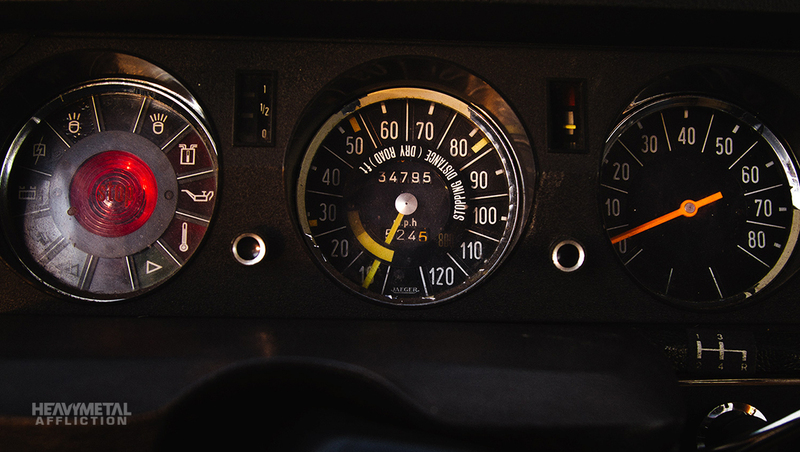 The latter is often the reason these cars are getting rarer to find in ready-to-drive condition, since replacing the seals in an arduous process. The design of the suspension is so sound that the ride has been compared to a “magic carpet.” Just watch how effective it is at absorbing a speed bump. Overall, performance is very surprising, due to its light weight (under 3,000 lbs) and astounding aerodynamics. 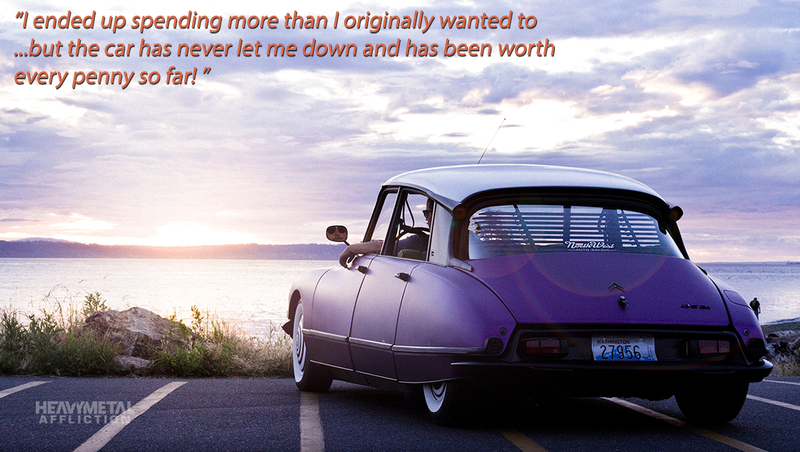 Throughout the DS’s existence – it was produced from 1955 to 1975 and sold nearly 1.5 million units – various models have been featured in numerous movies and television shows. Duncan MacLeod of “Highlander” drove a black DS, and Catwoman (Eartha Kitt) drove a DS in episodes 110 and 111 of the original “Batman” series. 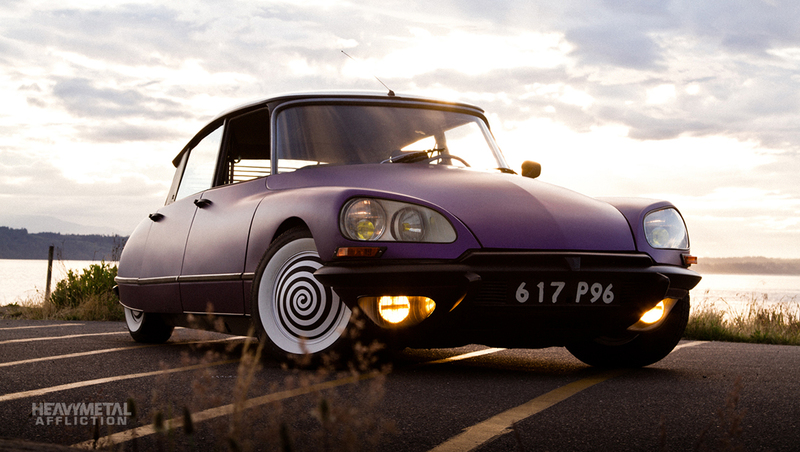 In movies you might remember it from Scarface, the end of “Pee-Wee’s Big Adventure” and in “The Day of the Jackal.” The latter recreated an event that French President Charles De Gaulle praised the DS for “saving his life,” when two tires were shot out, and the DS was still able to make an escape at top speed due to its design. DS is an abbreviation of “desses” or Goddess; Pallas was a Greek titan, who was killed accidentally in battle with Athena. The DS 21 Pallas has inspired many things, including a movie released in 2000 called “The Goddess of 1967” about the search for a DS 21. Today, Heavy Metal Affliction is pleased to present a unique version of this classic bit of French engineering, and introduce you to Blake Siebe. Siebe is a car lover of the highest order. Years ago Siebe utilized his passion for cars to build one of the most reputable car service companies in the Seattle area. Northwest Auto Salon provides multiple levels of service, from detailing to vehicle wraps. Siebe and his team treat their customer’s cars as if they were their own. 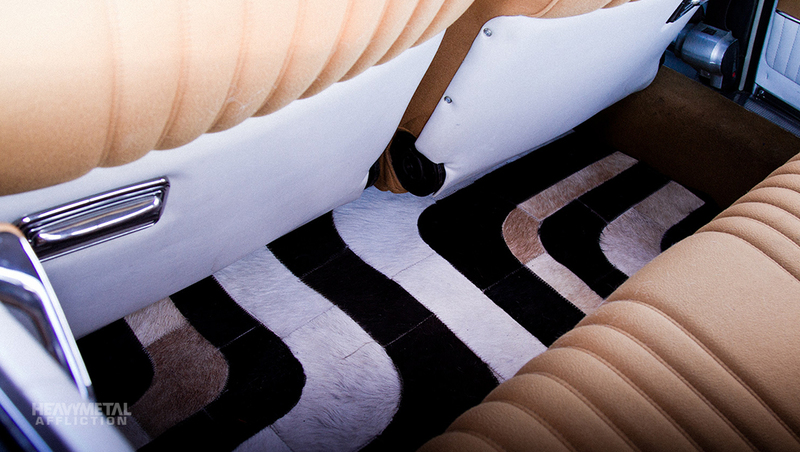 When you start to look around at Siebe’s 1969 Citroen DS 21 Pallas, you can see that everything has been done with the utmost attention to detail, and to accentuate the eccentric nature of both the car and its owner. Siebe has long been a photographer and is what he refers to as an “aesthete” and loves the modernism-influence designs of the 1950s. He runs a Facebook page and Instagram called MCMREvival which showcases mid-century design, whether it be automotive, architectural, furniture, and more. 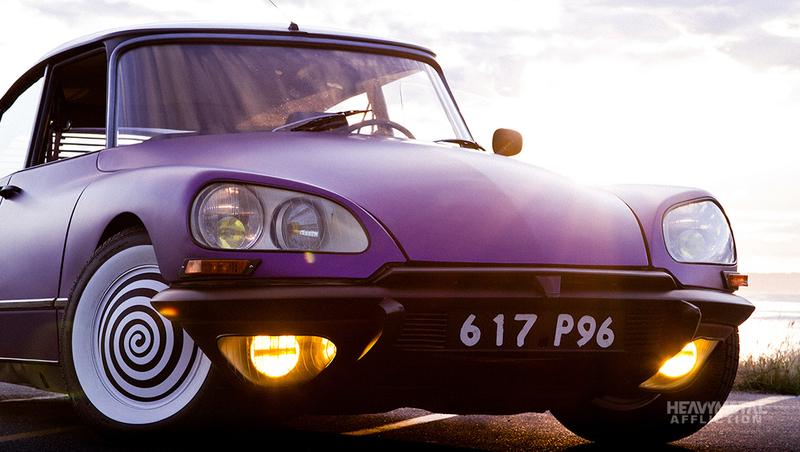 Except for its cosmetic appearance, Siebe’s DS is completely stock. Thanks to the way his particular model is geared, however, it is quite fast. This is a car built to handle any weather conditions, adapt its ride to even the most adverse of road conditions and get its occupants to their destination in regal comfort. Being in the vehicle wrap business aided Siebe’s desire to make his DS 21 a standout. The fleet car colorway of white and silver just didn’t do anything for him “Since we wrap cars at NWAS I decided to change the color schema to something a bit more eccentric to meet the character of the car on equal grounds” Siebe said. Siebe did the work all himself, disassembling most of the car and individually wrapping each component. The process took much longer than he anticipated, due to having to learn how the French do things and adding the lower valance lights. 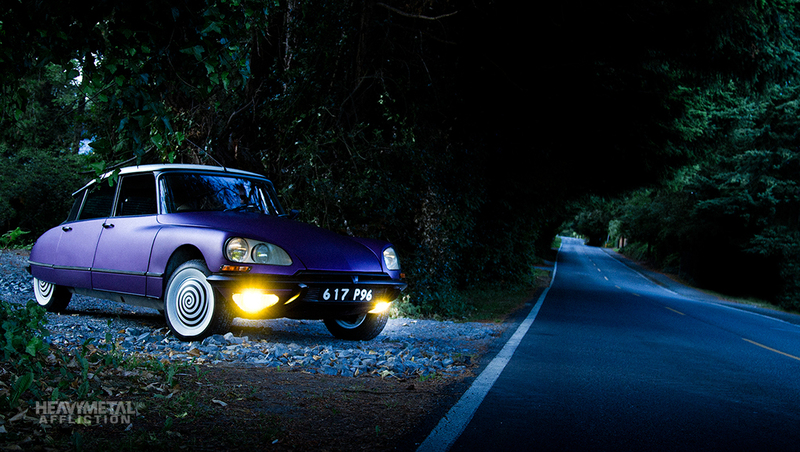 It’s worth noting that U.S. regulations banned one of the DS’s more advanced features: its composite headlamps and aerodynamic headlamp lenses. 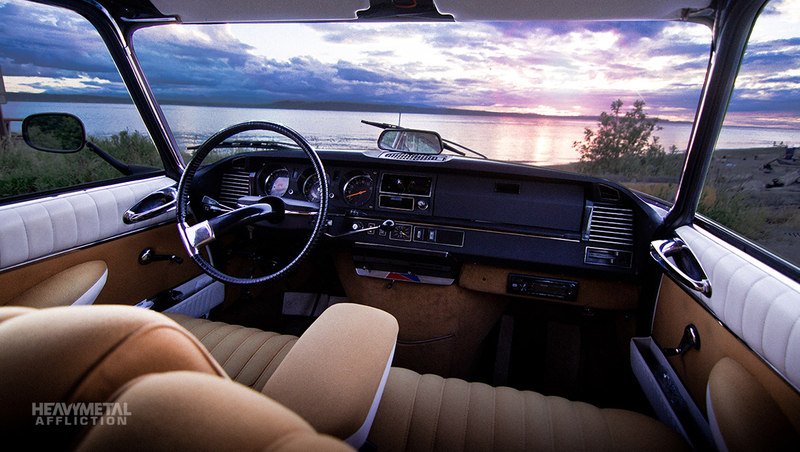 U.S.-spec DS’s came with exposed standard-sized, sealed beam headlamps. 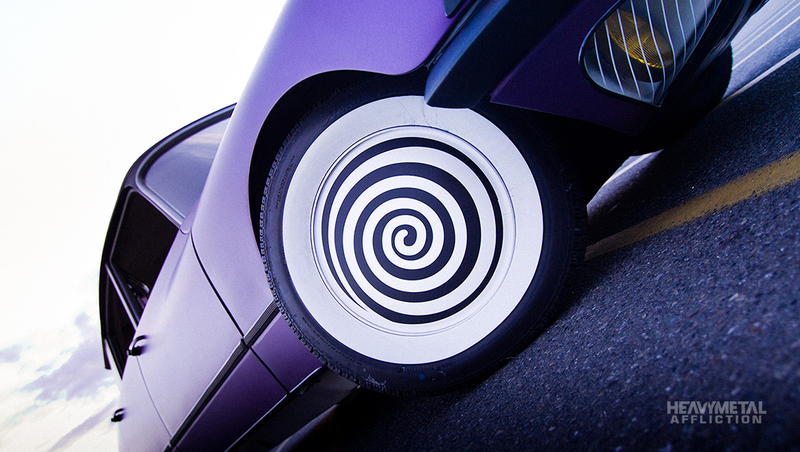 Possibly the most dramatic feature of Siebe’s DS are the Hypno-Hubcaps. Certainly they draw the eye, and when taken in with the form and color of Siebe’s DS, they are pure genius. When I asked Siebe how he came up with the concept, he said he wasn’t sure what actually made him do it. Just pure inspiration, I suppose. The car has gotten some strong attention in recent months. It was seen on Jalopnik, and even though it was not standard issue stance material, there was a crowd around it the whole time it was at StanceWars 2014. Siebe’s DS is currently getting an engine out service, including new clutch, brakes, suspension spheres, and a full going through. Siebe has been and intends to drive this car often and wherever his adventure leads him. The boys at Machete did the photo shoot and video that Heavy Metal Affliction is honored to share. Give them a shout out on their Facebook page, or Instagram, or YouTube channel. I hope you enjoyed this edition of Heavy Metal Affliction. Tell me what you think of the Siebe’s Citroen and this HMA in the HMA thread. I will grant gift requests to those who post about one of the hundreds of innovative features of the DS 21.